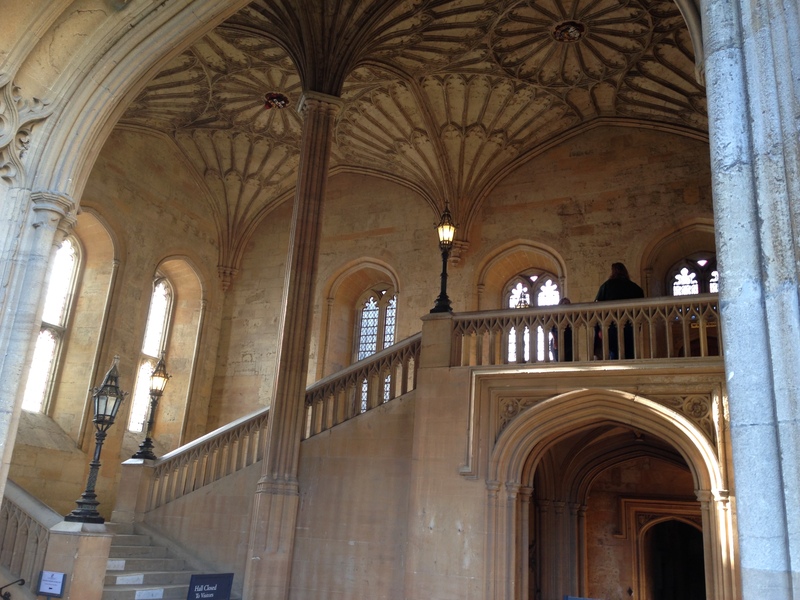 The staircase to the Dining Hall. Personal photo. 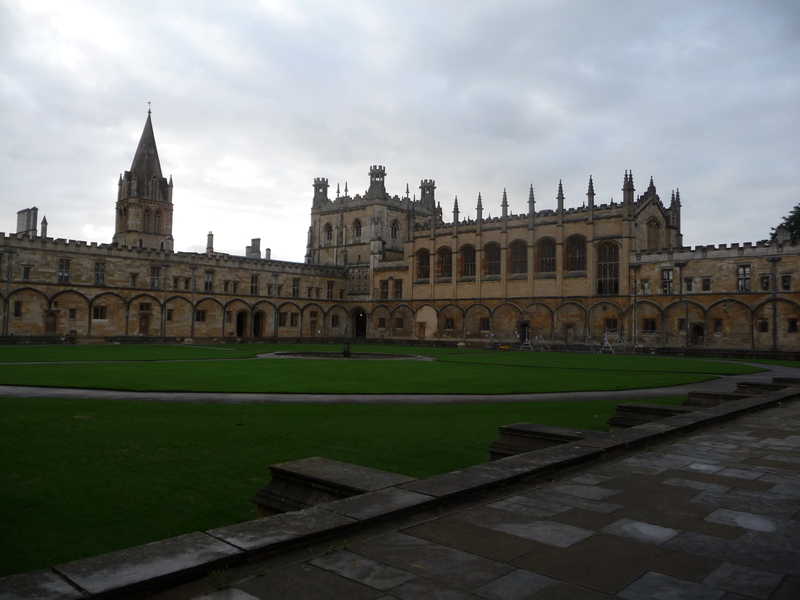 My second, and last, week at Oxford University consisted of another two courses: Christianity and Modern Thought, and C.S. Lewis and the Christian Imagination. Here are some ideas that might be helpful for the church today. Many people try to pit science against religion, as if only one can be true. This is a false dichotomy. The popular assumption of a conflict would only be true if they both claimed to explain the same thing, and this simply isn’t the case. Albert Einstein aptly summed up the complementarian relationship between science and religion as: Religion without science is blind. Science without religion is empty. Another way to phrase it would be that science answers the “What?” and religion answers the “Why?” Science explains how things work, and religion explains why things are. They are two very different topics that actually work quite well together. The same logic can be applied to reason and religion. Most people believe that the Enlightenment was an age of reason that juxtaposed faith and reason, assuming again that only one could be true. However, all the early thinkers of the Enlightenment were sincere Christians who believed that reason was possible only because God exists and is orderly in his ways. It is because of God’s orderliness that we can study and increase our knowledge about how God’s world works. Some people believe that the more we understand how things work, the less we need God. They see God as a black box to explain what we do not yet understand. But this is not true either. It is still God who sustains it all. In fact, Sir Isaac Newton, who originated the idea that there are Laws of Nature, believed that those laws proved God’s existence on the basis that if there is a law, then there must be a Law-Giver. During much of the Enlightenment, reason and God went together quite well. In fact, John Locke (one of the heroes of the Enlightenment) wrote a book called The Reasonableness of Christianity in which he made the case that the Bible, taken literally, is entirely reasonable. However, the one downside to the work of the early Christian Enlightenment thinkers was that it had the effect of downgrading revelation as a source of knowledge. What really turned modern thought anti-religious was when the French philosophers got involved. They were the first to pit reason against religion. The French philosophers were very anti-Catholic, and by extension, anti-Christian and anti-religion. They did their best to replace God with reason. While many would like to depend upon reason alone as the infallible guide for acquiring knowledge, it turns out that reason alone is not up to the task. First, we don’t agree on what is reasonable! Reason can be quite ambiguous. For example, a later Enlightenment thinker, David Hume, believed it was common sense not to believe in God, while his contemporary, Thomas Reid, believed it was common sense to believe in God. Finally, reason cannot tell you the ultimate truth of reality. It can’t prove God’s existence or character. This is because reason functions within what philosophy calls appearances, the physical world. But there is a world beyond appearances that we can only get to by faith. Faith, combined with personal experience of God and with understanding that comes from God’s self-revelation in Scripture, provides a reasonable belief in the existence of God. And lest we think that those who promote reason as the only way to gain knowledge have successfully made the case against faith, remember that faith in reason alone is still faith! There will always be people who don’t think alike. In fact, given our different experiences, education, personalities, and so forth, it is amazing that there are as many people as there are who do think alike! However, the reality is, there will always be people who do not see things as you do. If your arguments stand up to scrutiny, you will be better off and more confident about them. If your arguments don’t stand up to scrutiny, you may find there is a better way to defend your belief. Or you may discover you need to correct your belief. Sometimes we believe something without a lot of thought, or we misunderstood something or misinterpreted it. When people discuss the Bible and want to drive a point home, they sometimes appeal to the etymology of the Greek or Hebrew word to get at the ‘real’ meaning. Unfortunately, this kind of word study has little, if any, value. A word’s etymology may be of historical interest, telling how the word came to exist, but the word itself means what it meant at the time it was written. Wicked and bad now both mean good. The word religion in 1602 meant piety, not a system of belief. When William Wilberforce campaigned for the reformation of manners in the 1800s, he wasn’t campaigning for more politeness, because manners did not mean etiquette but a way of living. Child labour, animal abuse, terrible treatment of prisoners in jail, and so forth all showed how society wasn’t as genteel as the upper class imagined it to be. Its manners, its way of living, needed to change so that these situations would no longer exist. The word careful as used in the King James Version means anxious or worried today. To be full of care is to be full of worry. The word awful used to mean full of reverential awe, and terrible used to mean awesome. So when you want help with what a word means, check out what it meant at that time (and even, possibly, in that place, as it might have been a local colloquialism) and see what it meant to the writer. Humanist morality is a non-religious morality. Even though we’d like everyone to have a Christian morality, it is vital that there be a non-religious morality or else there is no reason for non-religious people to be moral at all. The favoured morality today is utilitarianism: Whatever gives the greatest number of people the greatest happiness is moral. This works well for most people, but it does not work well at all if you are part of the minority who gets pain instead of happiness. For example, it might make most people happy to have slaves do their tedious work, so a utilitarian law allowing people to own slaves would be moral. The owners are happy, but the slaves sure aren’t. The kind of morality that causes a person to be a moral hero and to live sacrificially simply isn’t possible or rational in secular morality. The one who tells the best story wins! The strategy of post-modernists today is to out-narrate their opponents. That is, to tell a better story to persuade people and win their argument. It doesn’t matter if the story is true or false, it just matters that it works. Christians believe that goodness is an objective property that is very real, and it should be loved. Love, truth, compassion, and wisdom are all part of beauty, and all reflect the character of God. The secular world is obsessed with ambiguity, turning things upside-down, and utility over beauty. The professor (called a tutor at Oxford) says we are indeed in a culture war. Most people do not believe in objective moral truth. They have replaced moral truth with moral opinions. To win people over, Christians must address the issue of whether or not there is objective truth. Lewis assumes that everyone experiences inconsolable longing for something more than this world. He calls this “desire” in Surprised By Joy. My question is whether people today are reflective enough to even be aware of longing. With so many ‘needs’ created and so quickly fulfilled in our consumer society, do we get to the bigger, more existential type of longing that Lewis writes about? We probably do if we are languishing in poverty or oppression, but otherwise, maybe not. This has implications for how we evangelize. Lewis was very bothered by the fact that a good writer telling a story like Narnia, one that evokes spiritual feelings, can lead people to an experience that is imaginative in nature and not an actual spiritual experience. Worship music can do the same. We get the feeling of being spiritual without actually being spiritual. Closeness and intimacy with God take time spent in Christian spiritual practices. Lewis believed that stories and music can be shortcuts to imitative (false) experiences of God rather than actual experiences of God. The primary goal of stories and music, according to Lewis, is to show what the good, the virtuous, and the lovely look like. Stories are for moral formation, and this is what Lewis was doing with his fiction books. Modern stories, however, are all about moral ambiguity and dystopia. These stories are programming recent generations of children quite differently than the stories read by their parents. Authors of children’s stories have the power to shape children in their formative years. Both children and adults need stories that train them to make right decisions in real life. Many of the conflicts we have in our world today are actually the result of people having different understandings about things such as the environment. Lewis says that it helps to know what the purpose of that thing is, because what is good is what fulfills its purpose. So when it comes to the environment, should we chop down a large tree? If we think its purpose is to provide shade, we would say the good thing is no, don’t chop it down because the tree is fulfilling its purpose. But if we think the purpose of a large tree is to provide firewood for heating, then the good thing is to chop it down and use it. The real conflict is not about cutting down the tree or not, but what is the reason why the tree exists. That’s what should be debated. The appropriate action (or inaction) would become clear once the purpose has been determined. Lewis would say that yes, we have progressed, but not morally. We’ve progressed in our knowledge that witches cannot cast spells that cause a pregnant woman to lose her baby, for example. If we thought they could still cast spells that result in miscarriages, we’d treat them the same way as we did years ago. The proof is that while we don’t burn witches anymore, just look at how we treat terrorists at Guantanamo Bay and elsewhere. Tom Quad, Christ Church. My class was the first door on the right hand side. 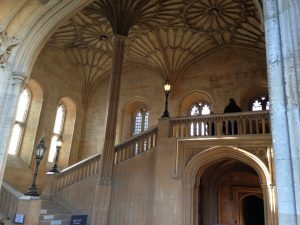 These last few posts have given you a taste of the topics covered in the four courses I took at Oxford University. They certainly provided me with a lot of food for thought, and I hope they’ve done the same for you. Excellent, insightful perspectives! Thank you!